Digital Printing Technology continues to evolve allowing King Printing to offer the best to our customers. 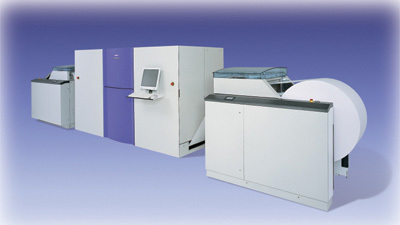 Being the first Book Manufacturer to install four color inkjet, we are able to surpass the current 600dpi threshold, the Screen True Press Jet Web Press prints 720dpi at lightning fast speeds for all trim sizes, post press is supported by a fully variable cutoff system making the press a strong choice for all popular trim sizes. The heart of this press is the powerful Dual-RIP ensuring that the finest dot structures are recreated on the fast moving web. Printing in multi-micron stochastic screening, you are ensured the highest quality half-tones and screens, along with crisp black text. High Quality, cost savings, and faster time to market. Our ink jet web is your answer to cost efficient multi-color books and variable data pieces.